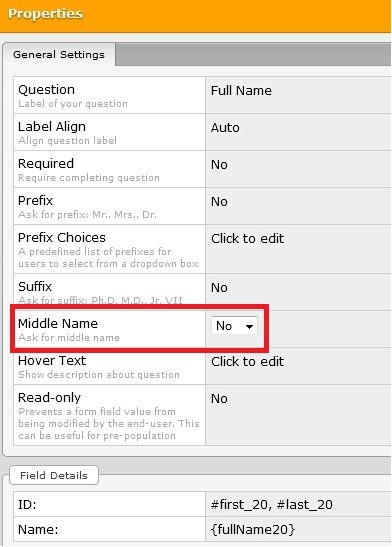 Is there any way you can have the name field as required, and show the middle name box but not have that box as required for people who may not have a middle name. Required name field checks only first name and last name fields. 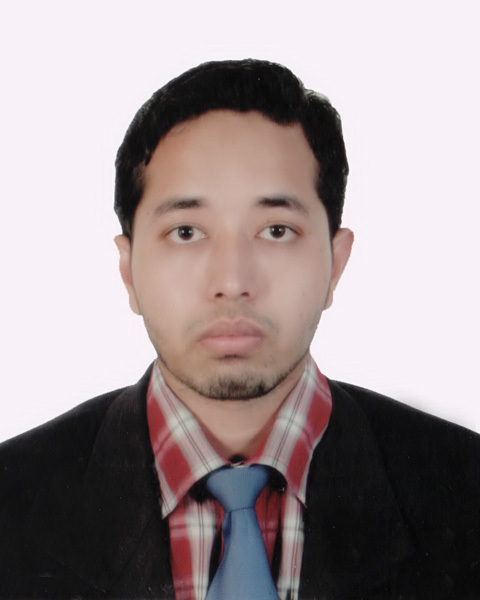 Prefix, suffix and middle name fields can be left empty. If you have any other questions please let know. Hello @ tukstewart, Thanks for your question.See the following Instruction that how can you keep the MIDDLE NAME blank. 1. 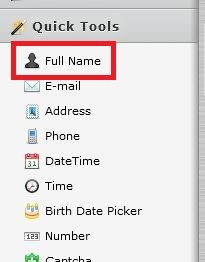 Go to your form and take the Quick tools FULL NAME. 4. Now you'll have the Properties Window for Middle Name option.As the following Middle Name option Click on dropdown box and Make it YES.